You love your little pupper don’t you? There’s a new store in Baner, Pawsh Box, that has everything you’ll need to pamper your pet. They’ve got toys, food and a lot more in store to keep you and your pet happy. 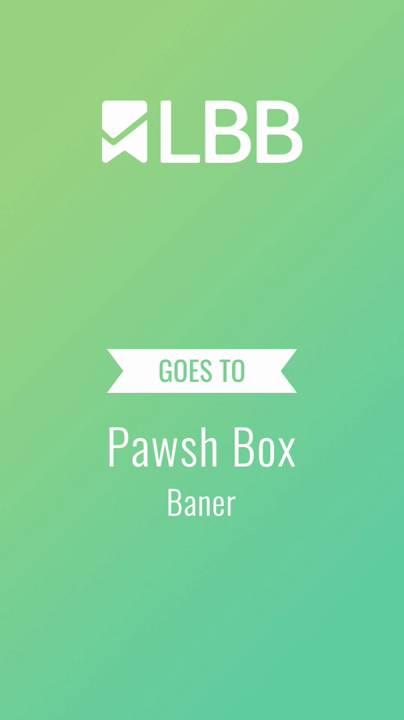 Pawsh Box is a subscription service that now has a brick-and-mortar space. Hop to Baner and instead of signing up for a box of treats every month, you can just pick whatever you need. The brand provides everything from food, grooming products, toys and accessories for both cats and dogs. Choose from shampoos and washes and other grooming products, priced starting at INR 600. And, they have waterless shampoos for kitty’s who run away at the sight of water. You can buy cat and dog food products too. There are a range of brands to choose from, so you can pick whatever feed and brand you think is apt. They also have treats! Fish and chicken cookies for good boys and purry kittens. There’s a lot to choose from and you can pick up packets starting at INR 180. They also have the cutest toys! Chewy bones, stuffed toys and fur balls. There's a lot to pamper your pet with and gift them. We'd love to see a spa or grooming services attached to the store in the future. It will be a great one-stop-shop. The treats and toys are quite affordable, so stock away!